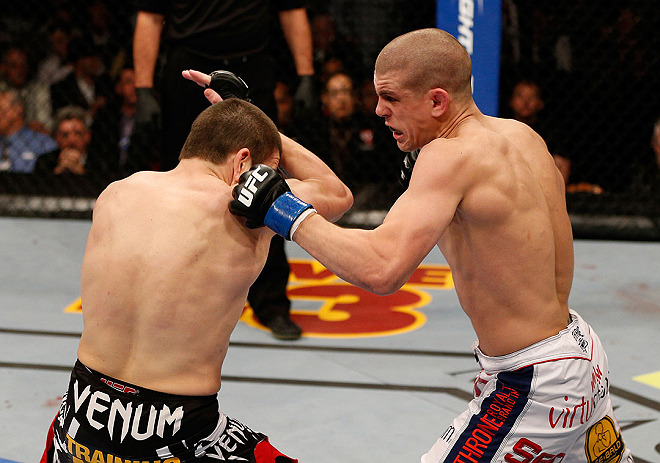 Sure, Joe Lauzon is a mixed martial arts fan, but he also has a reputation to think about. So when future Hall of Famer Anderson Silva stepped into the Octagon to defend his middleweight title against unbeaten upstart Chris Weidman in July, he couldn't just enjoy the fight for what it was. And while his head said Silva would win, his heart said win, but just don’t get a bonus doing it. Lauzon breathed a sigh of relief when Weidman upset “The Spider,” and now the ball’s in the court of Bridgewater, Massachusetts’ “J-Lau” as he prepares for his Saturday meeting with Michael Johnson at the TD Garden in Boston. And while some fighters would shy away from such talk leading up to a fight, the 29-year-old makes it clear that his intention is to pick up another bonus and sit alone atop the leader board. Lauzon laughs, but having exciting fights and getting that extra check (or two) at the end of the night is serious business to him, in the process making him one of the UFC’s most popular fighters. How popular? 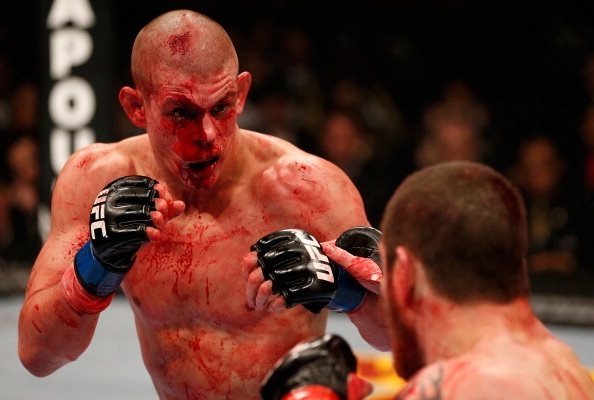 Ask people about his UFC 155 war with Jim Miller last December, and the touchpoints of the conversation will usually be: 1) How great the fight was 2) the blood 3) Lauzon’s resolve 4) the blood, and finally, the result. So when you can put on fights where people don’t really even care about the result, that’s something to brag about. But what about that cut that covered the Octagon crimson? What goes through a fighter’s head when he’s not just fighting a top-level opponent, but a cut? That’s not the way it looked, as the gash over his right eye took 40 stitches to close and a long time to heal, long enough that Lauzon has been out of action since that bout. He’s not complaining though, simply because the long healing process will hopefully ensure that the cut doesn’t reopen again, and also because it gave him a chance to come back in time to fight at home. But is Michael Johnson the right name at the right time for Lauzon, who is a big name in Boston coming off a Pay-Per-View co-main event while Johnson is looking to bounce back from two straight defeats? So what’s the scouting report for Johnson? Yet if Lauzon wins, he was expected to, and people will say ‘well, he just beat a guy who has now lost three straight and now has a 13-9 record.’ Both are true statements, but Johnson’s talent far surpasses his win-loss record, and before his recent two fight skid, he won three straight. 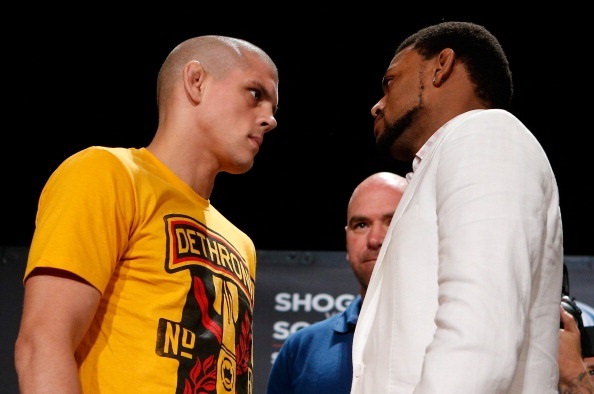 But perception is often reality, and with a victory, Lauzon may not move too far up the crowded lightweight ladder. It’s a possibility that doesn’t concern him. He does that, and he may just have a post-fight award waiting for him at the end of the night. We’ll just call it a “Lauzon” bonus.